I found a solution. It's something about settign the output buffer to zero. 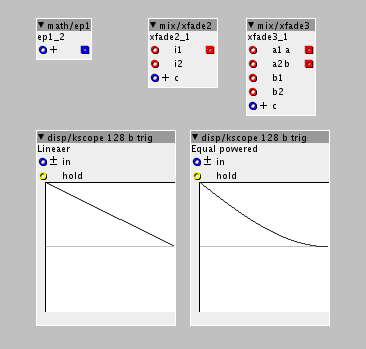 Is there a way to have standby or on/off switches for objects or modules that can take the load off of the processor when object is in the off position? Pleas help. Fairly simple phaser with 2 stages. Might be updated a little bit in the nearest future, since I experienced some clicks in some situations...... but it sounds pretty decent as it is now. I can't check my code right now, but I think it was a mashup of thetechnobears and SmashedTransistors' suggestions. And then changed 'outlet_out' to the right name for the objects out. 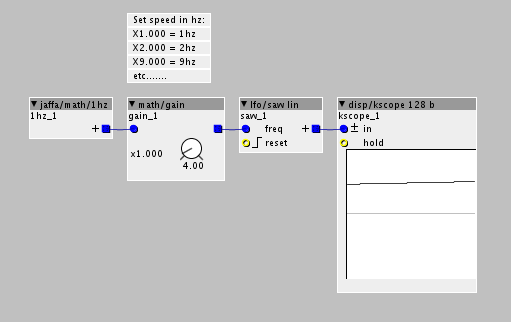 The time parameter on the noise gate and the compressor lets you set how quick the envelope follower reacts. This parameter is usually not disposed on a gate or compressor, but I thought i'd leave it for people to experiment a bit with it. It changes the overall response time of the compressor. The multiband system is... Just a multiband system. 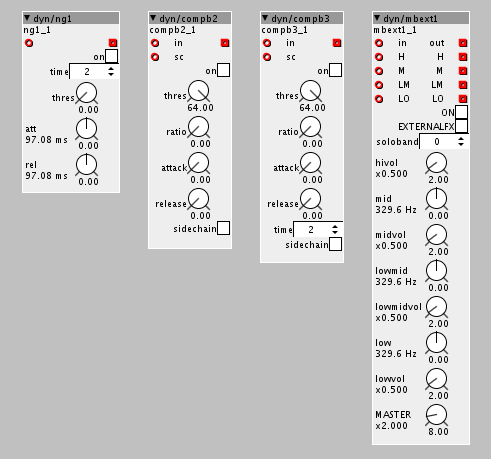 You can add gates compressor or whatever you like to it. I tried to keep it as "open" as possible and leave it up tp the users what they like to add. Be careful with the bands volume cause they are GAIN stages. Unison volume is 2 for the gain. Or you can use the "reset parameter" to get back to starting point. 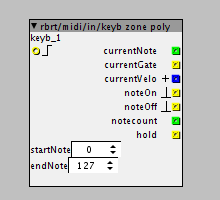 New additions - Many midi note outs combined in 1 object. New additions - Modulo, Pow(2), displays & strings. A couple of different versions of the simsam1 I uploaded a while ago, with different kind of setups. Very easy to use. See the help file. This is a subpatch and is only available here, its not in the library. Wavetables.....Again..... How do I playback only 1 cycle of a wavetable? New additions - pyramid number sequencer. 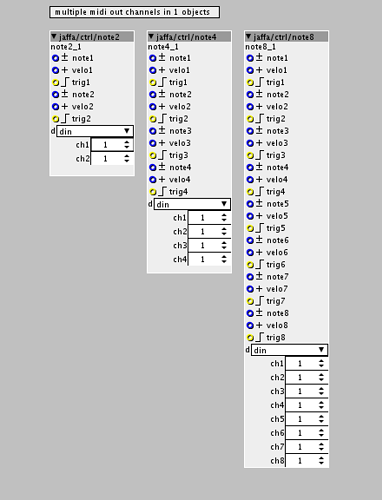 You input an integer variable in one end and you get this list out in the other end. The l output is the length of the sequence currently selected, the s outputs the selected number in the sequence. Thanks to @Captain_Burek for helping me realise this into a proper object, my own table version basically sucked. It worked but was highly inefficient. New additions - equal powered crossfaders + equal power scaler. 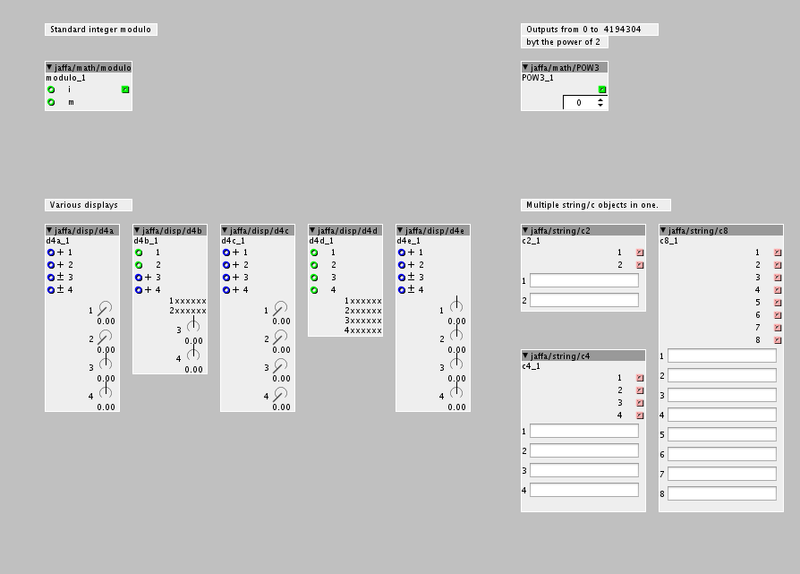 pyramid this would be really cool with a midi input... i beeing the number of notes pressed together, and with s being being the note order values of notes beeing pressed together. Yes I build something similar to that in Pure data. 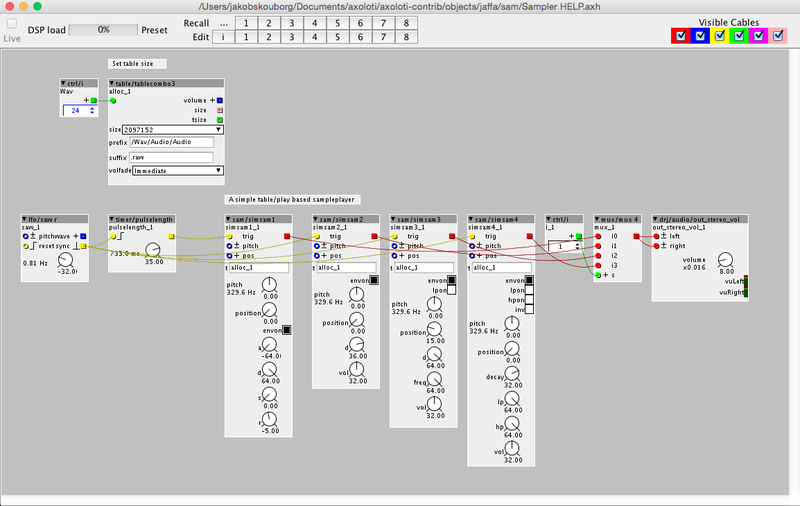 I made it for recording chords into a polyphonic sequencer. I had to make sure that there was ONLY send data to to note 2 and 3 tables when note 2 & 3 were actually hold down. It could also works as a "standard" polyphonic distributor for subpatches. 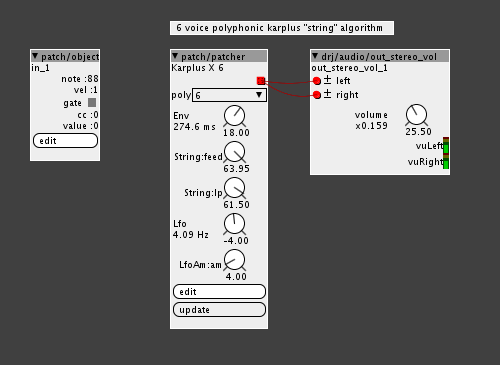 By that I mean, if one wants to make polyphonic stuff without using axolotis own poly systemm which has some limitations, then this could be used to route stuff to the right voice subpatches. @philoop, lets turn it into an object. Would you care to chime in? I got a naive implementation here, the only thing I am missing is a trigger on note OFF.... So if you have an idea how to make "trigger on note off" I think we got it. Again, this is naive approach, we can always optimize it, lets just get it working first. It's basically a "note on counter", every time you push a note, the counter will take a step forward, every time you release a note, it will take a step backwards. Another function latches the values of the notes hold, as you described. Any suggestions for the note off trigger? 8 waves morphable wavetable oscillator! 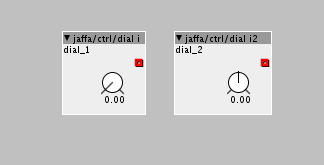 Hi Jaffa, I really like your 8 waves morphable wavetable oscillator (m8v1). I'm using in various patches and I want to ask if you could made a version with less waves... Depending on the situation 2, 3 or 4 waves are enough for me, and found that setting all 8 waves are a bit time consuming, and the morphing becomes narrow (if I don't set all waves). May be you could do a module with only 2 waves, and one with 4, or the same 8 waves module but with a selector for the amount of waves you want to use.